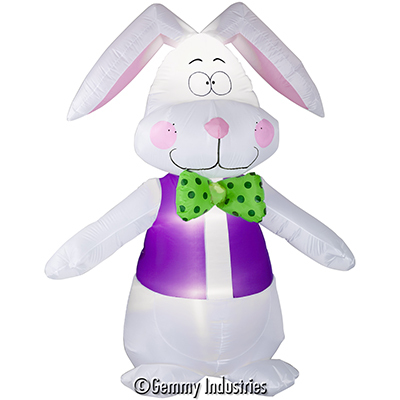 Celebrate Spring with the AIRBLOWN INFLATABLE EASTER BUNNY by Gemmy. 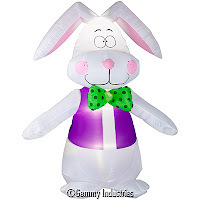 This delightful bunny self-inflates to 7' tall in seconds, is easy to set up (includes ground stakes and tethers), and also collapses for simple storage. With its colorful bow tie and vest, it's a fun friend for the entire family. And it even lights up at night! Available exclusively at Walmart.com. WIN: 24/7 MOMS and Gemmy are giving away a Airblown Inflatable Easter Bunny. **We received a complimentary Airblown Inflatable Easter Bunny for review no financial compensation was received. I follow 24-7 Moms on FB.